Cedar Woman: The Cedar Woman Saga, Book 1 is a contemporary cultural fiction novel written by Debra Shiveley Welch. Lena Cedar Woman Young Bear’s parents were married on the day that they met. Peter Spotted Eagle Catcher was leaving the reservation to go to work on Countryman’s 300-acre farm. Joseph Countryman’s declining health led him to seek help with the everyday tasks of farming. Peter would be taking on some of the more strenuous tasks, such as mending fences and helping with the dairy cows. Countryman had immediately answered Peter’s response to his advertisement with an acceptance, gasoline money, and a warm welcome. The twenty-one-year-old man had no wife or even any romantic interests, and he sought his mother’s advice on how to find the wife who seemed to be part of the job offer. Reva Two-Strokes Catcher knew she could find a girl for Peter, and she was pleased to be doing so. It was past time for her to experience the joys of being a grandmother. Mary One Feather Fools Bull was that girl. A quiet, unassuming and somewhat timid young woman, she calmed her fears about her trip and upcoming marriage with her attention to carefully packing her clothing, especially the ribbon dress her mother gave her for her wedding. She gently folded it with wild sage and her eagle feather. When Peter met the bus, Mary was too terrified to look into his eyes. The sixteen-year-old felt paralyzed by fear and could only fix her gaze on her betrothed’s dusty boots. Reva felt compassion for her shy daughter-to-be, and her smiling gaze and warm hand were lifelines for Mary in her strange new surroundings. She numbly prepared for her nuptials, but deep within there was a core of steel that ensured she would leave this place if she wasn’t sure about Peter. She would know when she finally looked into his eyes. Mary felt as though she were in a dream as the wedding ceremony took place, and then she raised her eyes to meet his and she knew. She had found her other half. Their daughter, Lena, would become a legend when she was only seven and had rescued a trapped hummingbird, which became her erstwhile companion and friend. Her actions led the medicine man on the Rosebud reservation to give her a new name. She would now be known as Lena Cedar Woman, one who nurtures. 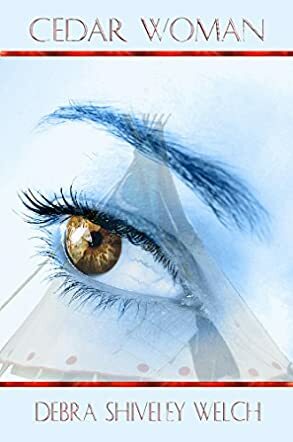 Debra Shiveley Welch’s contemporary cultural novel, Cedar Woman: The Cedar Woman Saga, Book 1, is a beautifully written and enthralling story about a Native American woman raised by her parents in Ohio, whose introduction to her culture in Keokuk, at the Annual Gathering of the People, is a life-enhancing experience. I loved learning about Lakota culture as Julie Spotted Eagle Horse becomes Lena’s mentor and friend. Welch includes a dictionary of the many Lakota words she uses throughout her book, but she also gives the reader the proper pronunciation within the text, which I found to be quite useful. As I read on, I began to appreciate how the language worked and was able to predict how new words would be pronounced, making me feel even more invested in her compelling story. Cedar Woman: The Cedar Woman Saga, Book 1 is most highly recommended.